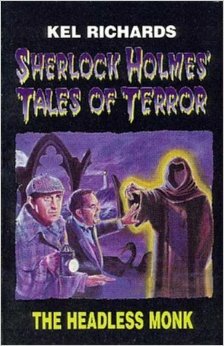 Sherlock Holmes and Dr. Watson investigate an apparent haunting on an island near Cornwall. Inspector Lestrade is also there, investigating events that occurred on the island twenty years ago alongside Constable Poldark of the Truro county police. Winston Graham wrote a series of novels about a Cornish family named Poldark. We can assume that the Constable is meant to be a member of Graham’s Poldark family, if not directly descended from Ross Poldark and his wife Demelza.